Doris Day Sings to MY HEART with Her New Album! 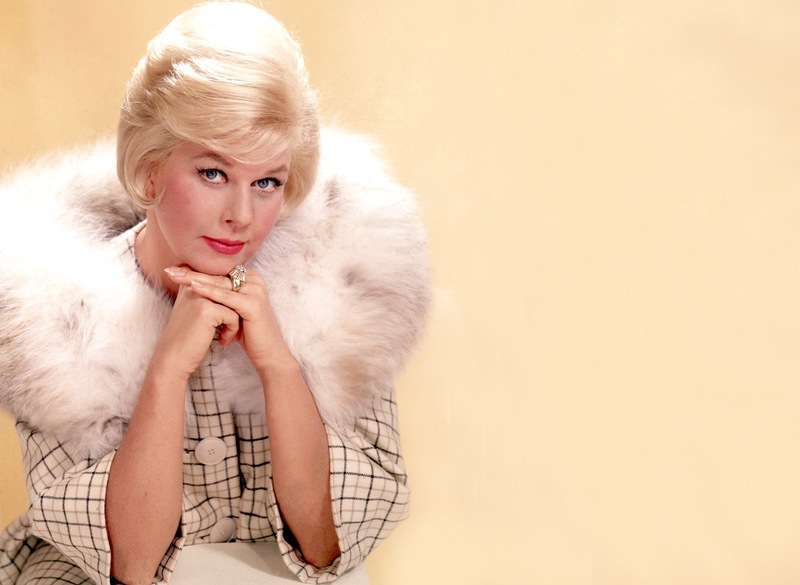 After I completed the last article on That Touch of Mink, I was surprised to learn that Doris Day is actually just about to release her first album in 17 years. Entitled My Heart, it is a collection of favorite songs that she recorded over that time. With her singing career often surprisingly dissuaded by the studios in favor of acting, this was a chance for Doris to return to her roots and revisit the music she loved. It also meant working with her beloved son, Terry Melcher, celebrated producer for The Byrds (and many others) who was instrumental to the West Coast rock movement before his passing. His loving touch is felt on nearly every track. Doris has been famously private since retiring from Hollywood in the late 1960s, so this release is bringing waves of well-deserved recognition for the now 87-year-old. It will all mean a bit more time in the spotlight than she is used to, including a guest appearance on Good Morning America this Friday. I, for one, can't wait to see her again. There's so much to love about Doris...her talent, her timeless style, and course her heart. She is known for her passionate advocacy of animals and all proceeds of this album go to the Doris Day Animal League. If you're in the mood for memories of a much mellower time, these songs are quintessential Doris...sentimental and sung slowly for her to savor every meaningful note. The song "My One and Only Love" (below) just might be my favorite. Dim the lights and have a listen. I love so much about Doris, but I really love to see she's still singing! Gives you hope, doesn't it? Maybe 80 is the new 40? Anyway, Que Sera, Sera will be my new favorite earworm (the perfect accessory for a music-loving gal). I so hope GMA treats her with the respect and love she richly deserves! Love that blonde! Thanks, Kimberly, for the heads-up!